Russian markets are expected to open higher Wednesday in the wake of climbing oil prices and investor hopes for new round of stimulus in the US economy. Russian stocks traded mixed Tuesday as investors were reluctant to make moves ahead of the US Federal Reserve address on Friday. The MICEX added 0.15% and the RTS declined 0.2%. European markets posted losses on Tuesday after Spain’s Catalonia region announced it will request a bailout, and because of concerns about global economic growth after Japan revised down its growth forecast. The Stoxx Europe 600 lost 0.7%, the Spanish IBEX 35 fell 0.9% and the German DAX 30 lost 0.6%, despite better-than-expected consumer-sentiment data. 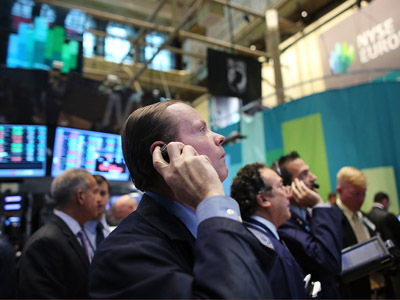 US stocks fell Tuesday for a second session as investors weighed mixed economic reports and looked ahead to the Federal Reserve meeting later this week. The S&P / Case-Shiller index of property values in 20 cities rose 0.5% in June from the year previous, but the consumer confidence index declined in August to a nine-month low. 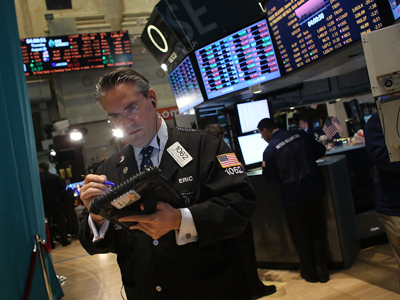 The Dow Jones shed 0.2%, the S&P 500 slipped 0.1% and the Nasdaq Composite rose 0.1%. Asian stocks traded mixed Wednesday with Chinese and Australian shares declining amid weak metal production. The Shanghai Composite declined 0.5% and Australia’s S&P/ASX 200 lost 0.1%. Japan’s Nikkei Stock Average rose 0.15% while South Korea’s Kospi edged up 0.3%, and Hong Kong’s Hang Seng added 0.1% thanks to a boost from tech stocks.